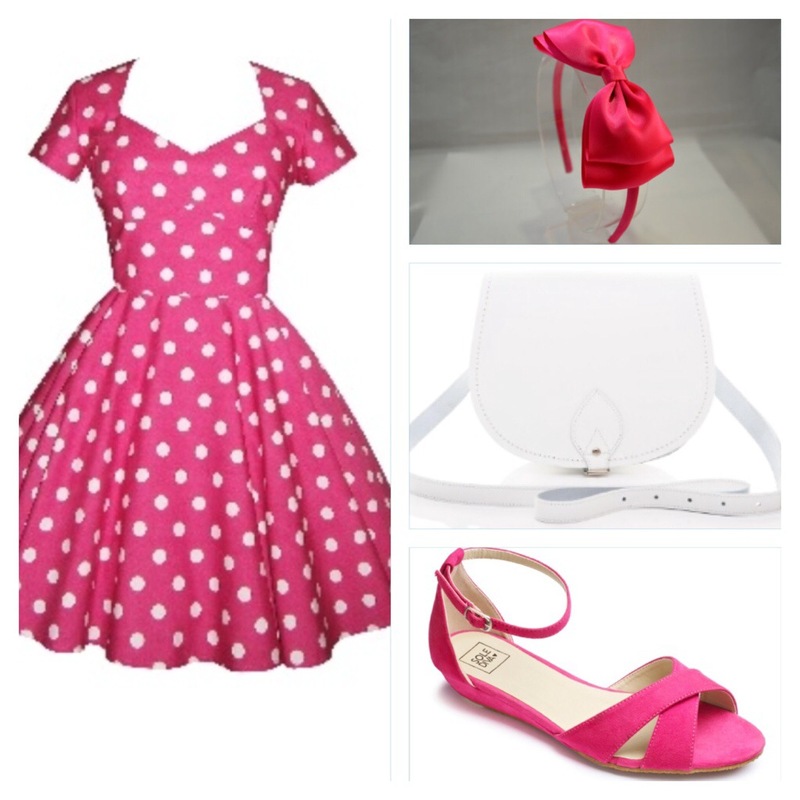 I decided to do a pink Minnie Mouse look because I fell in love with this dress from Polka Dot Polly! If you’re not familiar with polka dot Polly it’s an amazing site where the super talented owner makes dresses to your measurements!! Again, I would definitely wear this outfit!